Growing up in Nyahururu, Kenya, Maureen Gitata knew that a scholarship was probably the only way she’d be able to go to college. Many in her community, including her parents, are part-time subsistence farmers, growing enough food to feed their families with a little left over to sell. So she set about earning one. Gitata got a scholarship to study economics at St. Lawrence University in New York, and after working in finance in Boston, Massachusetts for a year, arrived at UBC in 2015 as a MasterCard Foundation Scholar. The MasterCard Foundation Scholars Program at UBC provides academically talented yet economically disadvantaged young people from Sub-Saharan Africa access to quality and relevant university education who are interested in moving back and contributing to economic progress in their countries. Gitata enrolled in our Masters of Food and Resource Economics (MFRE) program, a one-year course-based professional master’s degree geared towards graduates and professionals looking to sharpen their skill-sets with more advanced economics and real world applications. In Kenya, agriculture contributes 30% of the country’s GDP. Through the MFRE program, Gitata learned the economics of the agricultural sector, and the policies that are necessary to uplift the agricultural sector and economy of Kenya, as well as other developing countries that rely on agriculture as the key driver of economic growth. 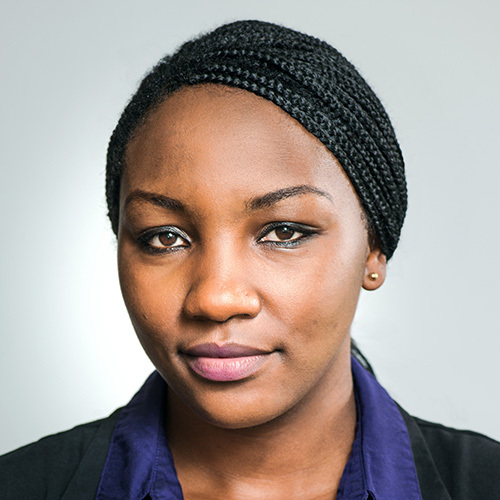 After graduation, Gitata returned to Kenya, where she accepted a consultant position with Dalberg Global Development Advisors, a strategy consulting firm focused on development.